RIM to introduce eKEY for realtors | BlackBerry Blast! Palm has dominated the real estate space for so long but now RIM is taking them head on. 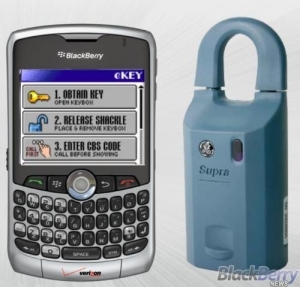 RIM is set to introduce eKEY for BlackBerrys which will allow agents to retrieve listing keys from iBoxes, and an advanced service for searching the MLS from their BlackBerrys. Check out the full story link for more information from BlackBerryNews.